Publicity photo of Madeleine Carroll from the 1930s. She went from being one of the highest paid actresses in Hollywood at $250,000 a year to working for the Red Cross at $125 a month. 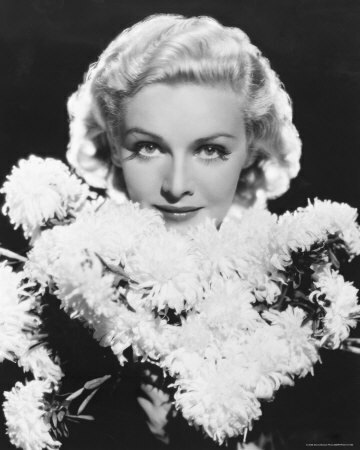 After starring in two Alfred Hitchcock films and the star studded “Prisoner of Zenda” (1937), English actress Madeleine Carroll left films for six years. Carroll said she had a new career: helping win the war. Before the bombing of Pearl Harbor in the United States, Carroll’s sister Marguerite Guigette Carroll was killed on Oct. 7, 1940, in a German air raid in London. But before her sister was killed, Carroll turned over her French chateau for children removed from Paris and other French cities. She also started holding benefits in Hollywood to send money to Europe, according to a Jan. 21, 1940, article in the Pittsburgh Press. In 1942, Carroll married newcomer actor Sterling Hayden. Hayden felt his place was fighting in the war and after two roles in Hollywood he enlisted in the Marines. Madeleine Carroll training at the American University in Washington for service in the Red Cross in 1943. Carroll’s first job in war work was in the newly formed US Seaman’s Service in New York as the director of entertainment, which was like the USO for Merchant Marines. 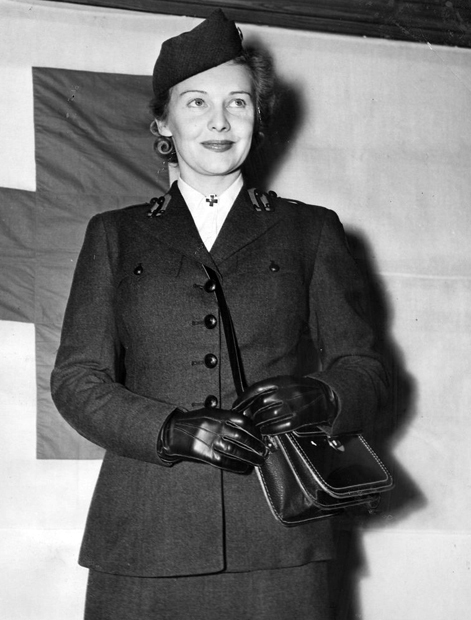 After spending 18 months with the US Seaman’s Service, Carroll worked over seas with the Red Cross. She worked with the American Red Cross at the 61st station Army hospital in Foggia, Italy, where she hoped to be assigned as a staff aid in an evacuation hospital. 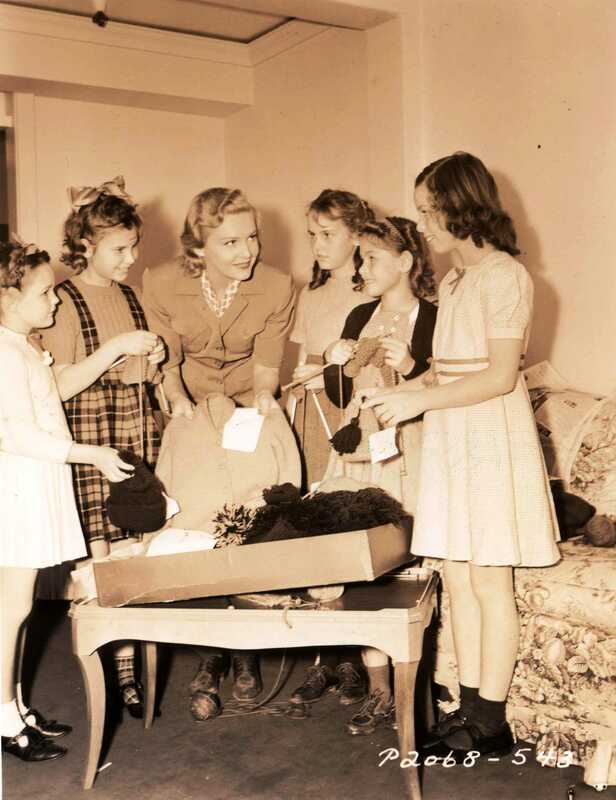 “I’m grateful to be in the Red Cross, because none of the girls stare or act like I’m a celebrity,” Carroll said in a March 20, 1944, Associated Press brief in the St. Petersburg Times. 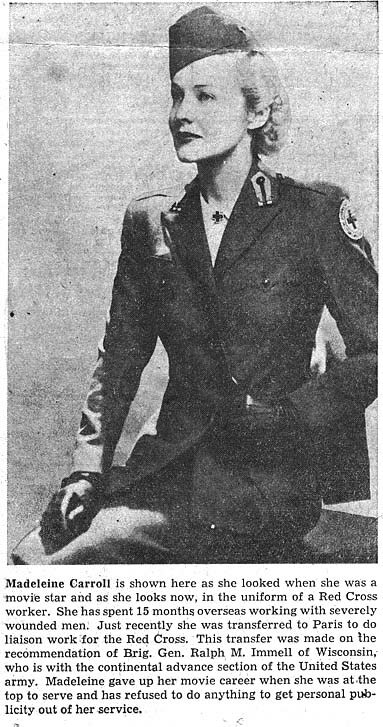 Along with working in the hospital, Carroll worked on the hospital train for four months taking wounded men to ships that took them home, according to a May 9, 1945, Milwaukee Journal article. Each train carried 300 to 400 men with three bunks on each side holding a wounded man. Carroll estimated working with 25,000 military men, the article described. She recalled a time when a man with a leg injury helped on the train by shining a lantern on a man in a lower bunk with a chest injury so bad that his ribs were exposed, according to the 1945 article. Carroll was not trained as a nurse, but tried to keep the men’s morale up with cookies, music or comforting them. “I never have known a man too wounded to eat a cookie,” she said. Carroll received letters from girls worried about bringing up a baby on their own with an unknown father. She met girls with babies at her door step in France. At the time the article was published, Carroll helped 40 mothers. Carroll helped with hospital bills, background checks on potential parents and adopting out the children, according to the article. Several times she was quoted as saying she was incredibly happy and never wanted to return to films. Hayden and Carroll divorced in 1946, and they both eventually returned to Hollywood, both making their first film back in 1947. While Hayden’s career took off in the 1950s, with films like “Asphalt Jungle,” Carroll made three more films and made four television appearances. She retired from acting in 1955 and lived the remainder of her life out of the public eye. This entry was posted in Hollywood and the Military, Star Profile and tagged Hollywood at War, Hollywood World War 2, Madeleine Carroll, Memorial Day, War Effort, World War II by Jnpickens. Bookmark the permalink. I’m not very familiar with Madeleine Carroll but you can’t help but admire what she did during and after the war. Thanks for writing this article.